Richard J. Boran, my dad, my hero and #1 son of William “Bud” and Mary Jane (Weitzel) Boran, left this world peacefully with his partner of 33 years, Libby at his side on April 7, 2018.
complained about being in pain towards the end of his life, my stubborn, Irish Marine Dad fought hard every day of his life. 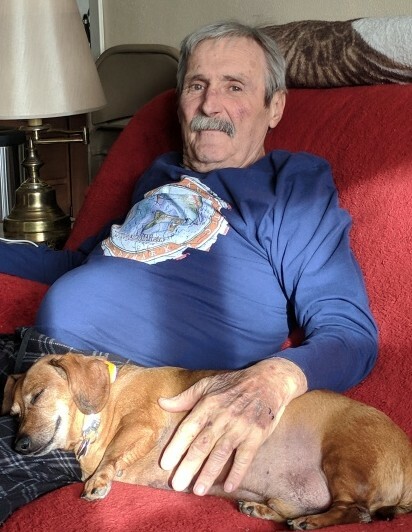 He will be remembered for his love of gardening and his beautiful, well cared for garden, ability to grill anything, and enjoying a game or three of cribbage! your grandsons Tyler, Danny, Dennis and Logan. Those boys will always have wonderful memories of their grandpa and will know always in their hearts how proud you were of them! our minds and hearts. We promise to take very good care of your “puppies” Puddles and Kirby. To carry on dads wishes, we will be having a Celebration of his life some time this summer, when the grass is green and the flowers blooming! Milbank, SD. Thank you for taking the very best care of Dad.